Ms. Ghada received her B.Sc. Degree in Speech-Language Pathology from the Faculty of Allied Medical Science at Applied Science University in Amman, Jordan (2002). 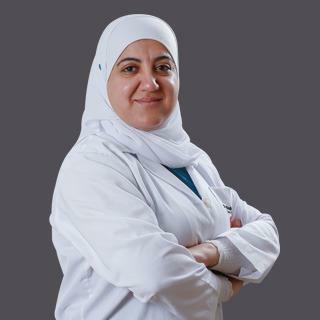 Ms. Ghada worked in the Modern International Center for Speech Therapy in Sharjah for more than a year, after which she joined the Canadian Specialist Hospital in Dubai as Senior Speech Therapist for six years; she is presently working as Senior Speech Therapist in Al Zahra Hospital, Sharjah (2009). Ms. Ghada’s expertise is in Administering Speech Language Evaluation for Hearing Impaired patients -pre and post- cochlear implant surgery, developing an individualized plan or group therapy programs, planning and delivering training sessions for parents or caregivers, Dealing mainly with Hearing Loss, Voice Disorders, stuttering, delayed speech development and Attention Deficit Disorders. Ms. Ghada speaks Arabic and English. Administering Speech Language Evaluation for Hearing Impaired patients -pre and post- cochlear implant surgery and developing an individualized plan or group therapy programs. Planning and delivering training sessions for parents or caregivers. Dealing mainly with Hearing Loss, Voice Disorders, stuttering, delayed speech development and Attention Deficit Disorders.